So you want to try a standing desk, but you’re not ready to commit to it for eight hours a day...what do you do? You buy a discounted monitor riser, and sit or stand whenever you feel like it. 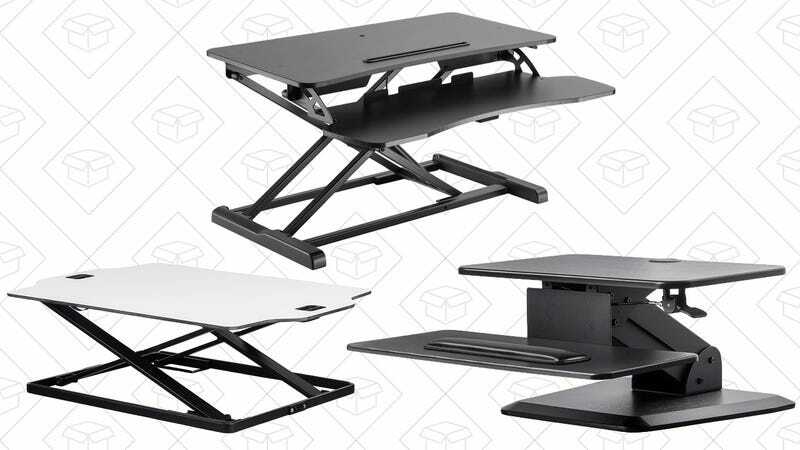 These Monoprice risers come in a variety of different designs to hit a bunch of price points, but they all just sit on top of your existing desk. All five of these models are on sale today, and discounts range from $10 off the usual price to $30, so you’ll have money leftover to buy an anti-fatigue mat.